On February 22, 2019, State Police from SP Brewster arrested Edwin L. Bauer III, age 34, of Lancaster, PA, for Aggravated DWI. He was traveling on Denise Court in the town of Pleasant Valley, when he was stopped for a vehicle and traffic law violation. Investigation revealed that he was impaired by alcohol, and was subsequently arrested. On February 22, 2019, State Police from SP Stormville arrested William R. Shatford, age 41, of Stamford, CT, for DWI. He was traveling on the Taconic State Parkway in the town of East Fishkill, when he was stopped for a vehicle and traffic law violation. Investigation revealed that he was impaired by alcohol, and was subsequently arrested. 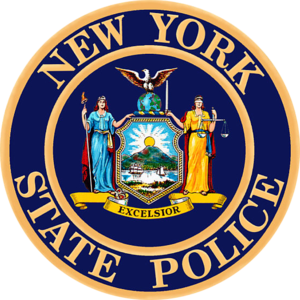 On February 22, 2019, State Police from SP Kinderhook arrested Daniel J. Williams, age 22, of Nassau, NY, for DWI. He was traveling on County Route 28 in the town of Chatham, when he was involved in a one car motor vehicle crash. Investigation revealed that he was impaired by alcohol, and was subsequently arrested. On February 23, 2019, State Police from SP Dover Plains arrested Raul P. Mendieta Mendieta, age 43, of Pawling, NY, for DWI. He was traveling on East Main Street in the village of Pawling, when he was stopped for a vehicle and traffic law violation. Investigation revealed that he was impaired by alcohol, and was subsequently arrested. On February 23, 2019, State Police from SP Somers arrested William A. Gamble, age 44, of Avon, CT, for DWI. He was traveling on State Route 6 in the town of Carmel, when he was stopped for a vehicle and traffic law violation. Investigation revealed that he was impaired by alcohol, and was subsequently arrested. On February 23, 2019, State Police from SP Wappinger arrested Christen L. Wilson, age 32, of Hopewell Junction, NY, for DWI. She was traveling on State Route 9 in the town of Fishkill, when she was stopped for a vehicle and traffic law violation. Investigation revealed that she was impaired by alcohol, and was subsequently arrested. On February 23, 2019, State Police from SP Somers arrested Maxwell C. Reiser, age 26, of Carmel, NY, for Aggravated DWI. He was found in a parking lot on State Route 6 in the town of Carmel sleeping behind the wheel. Investigation revealed that he was impaired by alcohol, and was subsequently arrested. On February 23, 2019, State Police from SP Livingston arrested Michael S. Grant, age 31, of Elmsford, NY, for DWI. He was traveling on State Route 9 in the town of Cortlandt, when he was stopped for a vehicle and traffic law violation. Investigation revealed that he was impaired by alcohol, and was subsequently arrested. On February 23, 2019, State Police from SP Dover Plains arrested Jorge B. Merchan, age 63, of Pawling, NY, for DWI. He was traveling on State Route 22 in the town of Pawling, when he was stopped for a vehicle and traffic law violation. Investigation revealed that he was impaired by alcohol, and was subsequently arrested. On February 23, 2019, State Police from SP Cortlandt arrested Antonio S. Vida, age 60, of Yorktown, NY, for DWI. He was traveling on Gallows Hill Road in the town of Cortlandt, when he was found disabled in the wrong lane of travel. Investigation revealed that he was impaired by alcohol, and was subsequently arrested. On February 23, 2019, State Police from SP Poughkeepsie arrested Mariano Torres, age 53, of Yonkers, NY, for DWI. He was traveling on State Route 55 in the town of Poughkeepsie, when he was stopped for a vehicle and traffic law violation. Investigation revealed that he was impaired by alcohol, and was subsequently arrested. On February 24, 2019, State Police from SP Rhinebeck arrested Jacob T. Euell, age 23, of Rhinebeck, NY, for Aggravated DWI. He was traveling on Orchard Road in the town of Rhinebeck, when he was involved in a two-car motor vehicle crash. Investigation revealed that he was impaired by alcohol, and was subsequently arrested. On February 24, 2019, State Police from SP Brewster arrested Alexander Romero, age 41, of Seattle, WA, for DWI. He was traveling on North Main Street in the village of Brewster, when he was stopped for a vehicle and traffic law violation. Investigation revealed that he was impaired by alcohol, and was subsequently arrested. On February 24, 2019, State Police from SP Brewster arrested Wayne Resino, age 38, of Carmel, NY, for DWI with a prior conviction, a class E felony. He was traveling on State Route 312 in the town of Southeast, when he was stopped for a vehicle and traffic law violation. Investigation revealed that he was impaired by alcohol, and was subsequently arrested. On February 24, 2019, State Police from SP Livingston arrested John C. Berth, age 21, of Ghent, NY, for Aggravated DWI. He was traveling on Macintosh Drive in the town of Claverack, when he was involved in a one car motor vehicle crash. Investigation revealed that he was impaired by alcohol, and was subsequently arrested. On February 24, 2019, State Police from SP East Fishkill arrested Manuel E. Pillacela Pucha, age 25, of Danbury, CT, for DWI. He was traveling on Interstate 84 in the town of Southeast, when he was stopped for a vehicle and traffic law violation. Investigation revealed that he was impaired by alcohol, and was subsequently arrested. On February 24, 2019, State Police from SP Somers arrested Andrew Tancredi, age 66, of Yorktown, NY, for DWI. He was traveling on State Route 6 in the town of Yorktown, when he was stopped for a vehicle and traffic law violation. Investigation revealed that he was impaired by alcohol, and was subsequently arrested. On February 24, 2019, State Police from SP New Lebanon arrested Christina Delgado, age 38, of Pittsfield, MA, for DWI. She was traveling on State Route 20 in the town of New Lebanon, when she was stopped for a vehicle and traffic law violation. Investigation revealed that she was impaired by alcohol, and was subsequently arrested. On February 24, 2019, State Police from SP New Lebanon arrested Kelly S. Fischer, age 36, of Albany, NY, for Aggravated DWI Leandra’s law. She was traveling on State Route 20 in the town of New Lebanon, when she was stopped for a vehicle and traffic law violation. Investigation revealed that she was impaired by alcohol with children in the vehicle, and was subsequently arrested. On February 24, 2019, State Police from SP Poughkeepsie arrested Doreen C. Fowler, age 54, of Muncy Valley, PA, for DWI. She was traveling on the Taconic State Parkway in the town of Pleasant Valley, when she was stopped for a vehicle and traffic law violation. Investigation revealed that she was impaired by alcohol, and was subsequently arrested. On February 24, 2019, State Police from SP Hawthorne arrested Kurt Houben, age 33, of Bainbridge, NY, for Aggravated DWI. He was traveling on the Sprain Brook Parkway in the town of Mount Pleasant, when he was involved in a one car motor vehicle crash. Investigation revealed that he was impaired by alcohol, and was subsequently arrested. On February 24, 2019, State Police from SP Rhinebeck arrested Gina Walker, age 61, of Rhinebeck, NY, for DWI. She was traveling on State Route 308 in the town of Rhinebeck, when she was stopped for a vehicle and traffic law violation. Investigation revealed that she was impaired by alcohol, and was subsequently arrested. On February 25, 2019, State Police from SP East Fishkill arrested David J. Baltazar, age 25, of Wappinger, NY, for DWI. He was traveling on Interstate 84 in the city of Beacon, when he was stopped for a vehicle and traffic law violation. Investigation revealed that he was impaired by alcohol, and was subsequently arrested. On February 24, 2019, State Police from SP Brewster arrested Wilmer E. Ramos Perez, age 26, of Danbury, CT, for DWI. He was traveling on Interstate 684 in the town of Southeast, when he was stopped for a vehicle and traffic law violation. Investigation revealed that he was impaired by alcohol, and was subsequently arrested.